It took me a good few days to nail down the pronunciation of Huacachina. Firstly I called it Whakka Whakka. Then it was Hoo-akka Schmakka. The true pronunciation is Wakka China, and it is Peru’s (and to be honest, South America’s) biggest oasis. After the rainforest of Colombia and the volcanos of Ecuador, it seemed bizarre to see so much sand. We could have been in the Middle East! Huacachina is located 4 hours south of Lima and 2 hours north of Nazca – where you find the famous ancient Nazca Lines. Huacachina only has a permanent population of around 100, though thousands of tourists visit each year. The town is built around a small natural lake called the “oasis of America” – according to local legends, the water and mud from the lake has healing powers. #1 Take a Dune Buggy and whizz around the oasis! First of all, the dune buggies had been cancelled for a week because a few tourists had recently been killed. Second of all, the buggies are barely regulated! Due to a loop hole in the law, you don’t need a license to drive one. Ergo a load of crazy kids with no experience are able to tout Dune Buggy tours on the streets . The risk of scamming is also extremely high due to increased competition as in recent years Huacachina has become popular. Before booking a dune buggy, ensure you do thorough research on the agency you’re booking with. And never just book with a random kid on the street – cheaper doesn’t necessarily mean better! Says the person who booked their Nazca flight with a random street person. Gen, Lucy and I booked our tour through Banana’s Adventure Hostel (more on there later). Our tour was included in the room price (more on that later 🤷🏻‍♀️). Despite the overhanging threat of impending doom, was it fun? #2 Sand board down the Huacachina dunes! Sand boarding is generally available in conjunction with the dune buggies. You can do both activities separately, but for me even the thought of schlepping a sand board up those dunes by foot sounded too exhausting. The dunes are huge and quite the glute workout! Our dune buggy initially whizzed us around the dunes. Then our driver took us to 3 separate dunes that he deemed best to ride down. Note: remember to wax your sandboards EVERY TIME you go down a new dune. And don’t be conservative! I say this because for the final dune, the majority of the group were scared to re-wax their boards. To be fair it was really bloody big. Even I peed my pants a little. Gen was first to go down. As she had not waxed her board, she resembled an octogenarian going up a stairlift. Apparently I resembled a beach whale. “Are you even moving?? ?” everyone joked. I cricked down so slowly, lying on the board on my stomach that eventually the board stopped leaving me stuck mid-dune. Sand in mouth. Wax your board. Every. Damn. Time. In my defence, it was 1 – really hot, 2 – a lot of wine samples at 11am after only eating a fried egg sarnie, 3 – they don’t spit out (i.e. waste) the alcohol in Peru and 4 – I was really nervous about my impending dune buggy doom. Where did you book your tour? We booked our tour directly through Banana’s Adventure hostel, and they collected us at 11am. We weren’t given the name of the vineyard, but it was about 15 or 20-minutes away by car. Different types of grapes grow in Pisco: quebranta, negra criolla, mollar, uvina, torontel, moscatel and italia being the most popular varieties. You remember all the grapes??? NO lol I googled this, there is no way on earth I’d remember what grapes they grow!! Torontel grapes are also prevalent in Salta and make a very sweet white wine. The second thing they explain is the process of making Pisco. Above is a photo of the chamber used in the process. Despite being made from grapes, pisco is a clear liquid. During distillation, the first 100 litres to appear are the cabeza (head): distinguished by its high alcohol content – between 50 and 75%. Sadly this is deemed to high to be sold as pisco so instead is used (wasted) as fuel for the furnace. Then comes the cuerpo (body): 400L with a 40- 45% alcohol content, this is the official media for pisco in southern Peru. Finally the cola falls in the still and is discarded. This is about 1000L worth. I think this is still a waste, baring in mind Apple Sourz is 15% and Jaeger is 30%. Finally comes the Pisco sampling. Pisco itself in my opinion (apologies, Peru) tastes disgusting. Like dirty, cheap tequila. I almost gagged during the tasting. The wine is nice enough but extremely sweet – akin to desert wine. Even their ‘dry’ wine was sweeter than Zimfandel (the one of the sweetest rosé’s available to purchase in the UK). What Gen and I loved the most, however, were the fruit sour mixes – Maracuya Pisco, Chiramoya Pisco and Peach Pisco. As the grapes are only harvested for a limited period in the year, other products with other fruits are used for the remainder of the year. The alternative fruits were so delicious, Gen and I (like typical tourists) bought some! Unlike my trip to Cholón, Cartagena this boat trip was much less glamorous. We bailed on the red beaches, because we were desperate to see some of our pool at Banana’s Adventures. You’ll understand why when we mention the price. Luckily the tour for Islas Ballesta’s leaves very early; Gen and I were up at 6:15! If you decide to do the national park as well, you can leave for it directly after the Islas Ballesta’s tour. The Islas Ballesta’s are otherwise known as the ‘Poor Man’s Galapagos’ – of course, I couldn’t afford the Galapagos so I was keen to go. The drive from Huacachina to Paracas dock takes approximately 1h. Boats leave from Paracas port at 8am and (if there are sufficient takers) another leaves at 10am. However, early morning is always a better time for bird watching. Besides, the sea is calmer in the mornings than later in the day. Gen and I took the 8am boat. Bird watching? You hate birds???? I hate pigeons! And those with a bird phobia need not worry – they come nowhere near your boat. For conservation reasons, you can only view the island by boat. We saw penguins, seals, starfish and many other cool things! 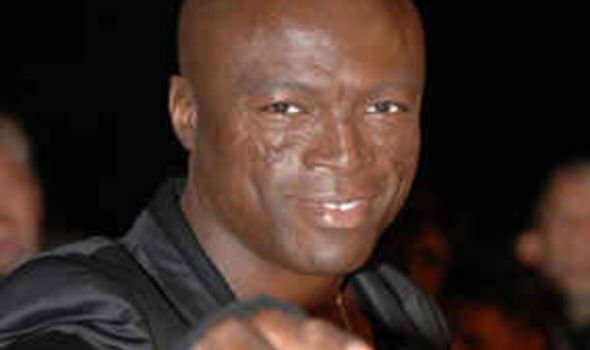 Only kidding, we didn’t see this Seal. Just the animal kind. How were the other people on your boat? Did you get an English speaking guide? The guide spoke good English, actually. He translated everything from English to Spanish like for like – not always the case. Next to Gen and I were a couple from Colombia. They were more interested in taking selfies and photos of one another, than in the actual tour. The rest of the boat would all excitedly jump up exclaiming, “Ooooooh, sello! Pingüino!” whilst scrabbling for our camera. The couple instead would exclaim, “Ooooooh, mí” and take another selfie. The boat ride lasted 1.5h; afterwards those who wished to continue to the national park stayed at the dock. The rest of us boarded the 1h long bus ride back to Huacachina. The tour was 80 Soles – again we booked this through Banana’s Adventure hostel. Note: wrap up warm. The pacific ocean is cold and windy in the morning! The paddle boat cost Gen and I about 20 Soles for 45-minutes – the equivalent of £2.50 each. Hardly breaking the bank! A must – totally free and utterly gorgeous. The perfect place to get a decent Instagram photo! Huacachina looks fantastic! Where should I stay? Well 😏we stayed at Banana’s Adventure hostel. This hostel is exceptionally popular (book ahead) and you’ll likely hear about it if you mention Huacachina. I’ll go through the pro’s and con’s of our stay. Great food onside at not too awful prices – about £4-7 per meal. There isn’t much choice of restaurants in Huacachina. They also do Thai food which is a bonus. Easy to arrange activities such as Paracas and Dune Buggies. Decent breakfast included in the price. Trust me – its so nice to have eggs and fruit when so many hostel ‘breakfasts’ are stale bread and butter! Within 5-minutes walk from Huacachina dune; not that Huacachina is even remotely big. Bloody expensive. I almost fainted at reception when for 3-nights stay the receptionist quoted “200 Soles” which is $60 (or £46) – baring in mind most places in Peru are under a tenner. “Gen??? ?” I turned to my friend, bewildered. Gen and I agreed on 2-nights in the end. YES each night includes 1 activity, but c’mon Banana’s – the Pisco tour is free with Peru hop, or you can just arrange your own transportation! And I could arrange both the buggies and the boarding myself! The rooms were quite dark and cramped. Have you ever been to Huacachina? Do you have any further recommendations for me, or for other visitors? Let me know in the comments below!